To place orders online you will need to register an account. Once registered and you know what you want, our one-page checkout option provides everything you need clearly displayed on a single page. 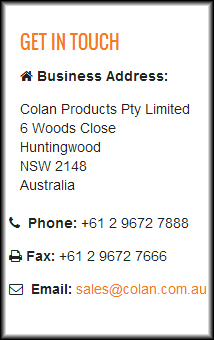 Alternatively, you can place orders by phone, fax or email. Our online store accepts payments from non-credit customers via credit cards from Visa, MasterCard and American Express. We also accept Cheques or bank transfers. Payments through cheque or bank transfers are the responsibility of the customer. Orders will not be shipped until payment has been received.